Looking at requests for the overlay, there are 94 users with less than 20 request. (1 request = 7×7 tiles excluding users cached tiles). So it initially looks like a couple of users are using the vast majority of the tile quota. However that may not be the whole truth. Those IP addresses might be shard by many users (e.g. 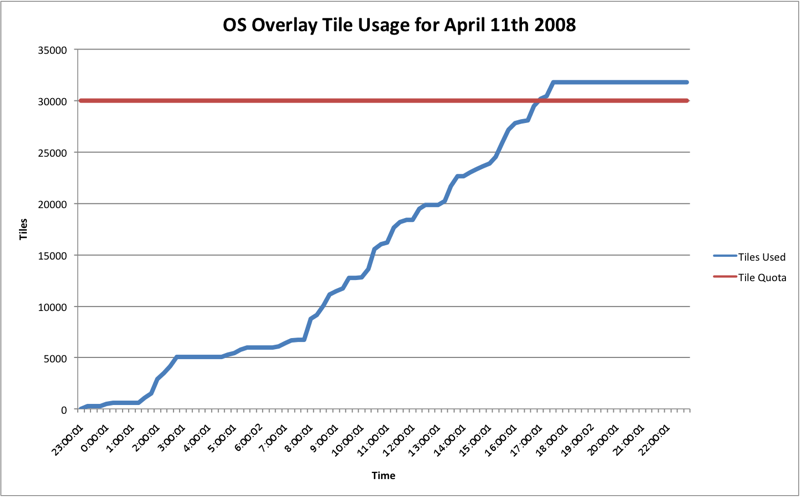 a proxy), or they may be requesting the same tiles repeatedly (which are cached), and so not adding to the usage. I’ll keep looking.. The moral so far: use this service before 5pm GMT! Great app! I was wondering whether you feel comfortable posting the code running the back-end? I am quite keen to set up a local server for my own personal use.